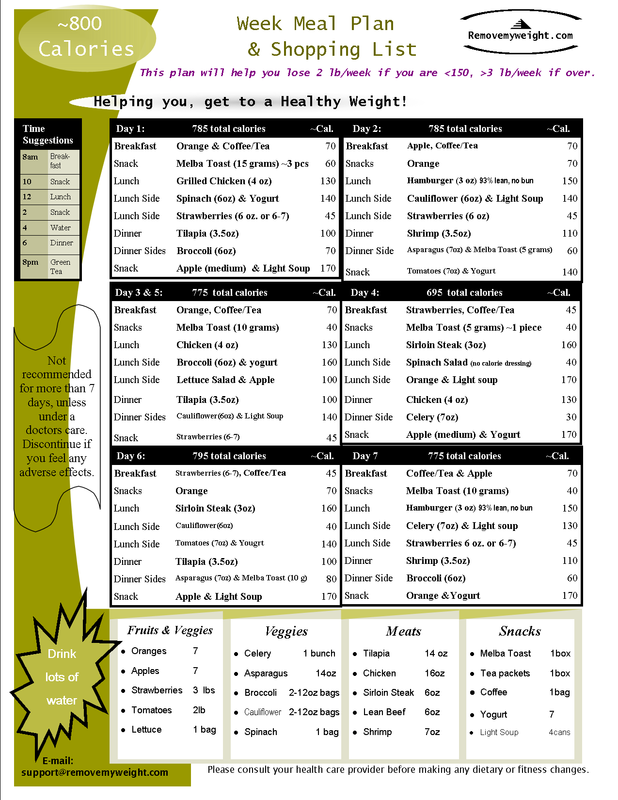 Lose 2 pounds this week easy, with 800 calories a day plan. Download this, and eat 800 Calories a day to lose weight. This is recommend to be done, every other day for 2 weeks, unless reviewed by your health care provider for a shorter time frame. This plan is an easy one page, 7-Day, and includes a shopping list to meet your weight loss goals. Click the button below to save or print a printer friendly copy.